Remakes are popular in Indian cinema. Many movies which have been hits in one language have been adapted to another and do wonders at the box office. 2013 Indian Malayalam-language thriller film, 'Drishyam' is one such example. The Mohanlal-Meena starrer grossed over 750 million Indian rupees worldwide and is the highest-grossing Malayalam film of all time. Later the film was remade into four other Indian languages: Telugu, Tamil, Kannada and Hindi. And now it will see its Sinhala version unfurling on the wide screen soon. The Capital Maharaja Organisation Limited (TCMOL) has joined hands with Tamil film and serials director Cheyyar Ravi to bring home the Sinhala version of 'Drishyam'. The movie will be titled 'Dharmayuddaya' and will star Jackson Antony and Dilhani Ashokamala in the lead roles. 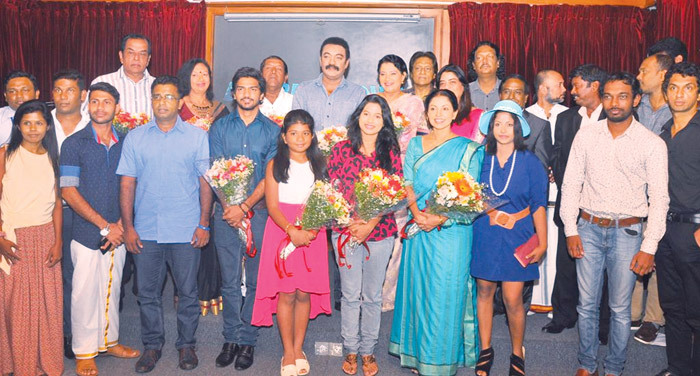 Thisuri Yuwanika, Vinumi Vansadhi, Kumara Thirimadura, Kusum Renu, Douglas Ranasinghe, Ananda Athukolara, Ariyasena Gamage, Awanthi Aponsu, Wasantha Kumarasiri, Nirukshan Ekanayake and Tharanga Bandara comprise the rest of the cast. 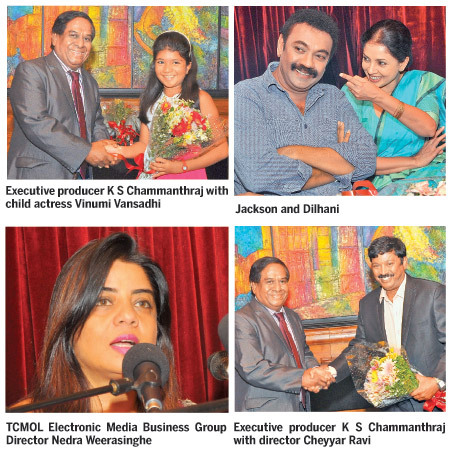 Speaking at the film muhurath that was held last week, TCMOL Electronic Media Business Group Director Nedra Weerasinghe said that they felt that the time is ripe for the organisation to embark on their second cinematic venture. The organisation introduced Superstar Rajinikanth starrer ''Thee' in 1981. “'Dharmayuddaya' is part of our attempt to preserve the local arts scene. It marks the beginning of our venture into filmmaking. Not only would the audience have a thoroughly refreshing cinematic experience with the movie but it will also open up more employment opportunities for masses,” she said. The tale rotates around the struggle of a man and his family, who come under suspicion when the son of the inspector-general of police, goes missing after an attempt to physically harass the protagonist's daughter. The cinematographer for the project is S Saravanan. K S Chammanthraj is the executive producer. The script was written by Prageeth Rathnayake. Priyantha Wanninayake is the make up artiste. Shermila Fonseka handles the costume department while Thushara Vidanagamage is the hair dresser. Manjula Ayagama is the art director. Sachith Peris is the music director. The lyrics are penned by Professor Sunil Ariyaratne. Gihan Ranga Bandara is the assistant director.